Temperature records are falling in the Northeast as spring-like warmth has descended on the region. 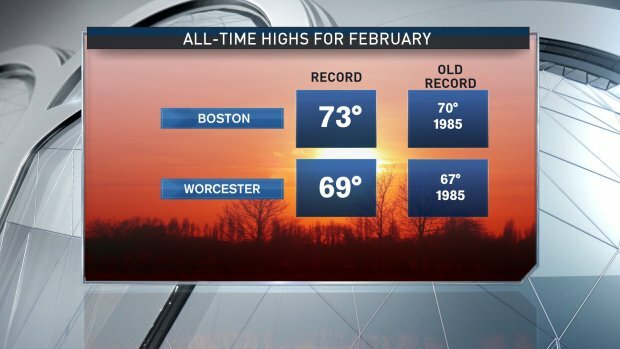 Just after noon on Friday, Boston hit 71 degrees, shattering the old record high of 70 degrees, set back in 1985, while also claiming the top spot as the all-time warmest day for the month of February in Boston. Worcester had not reached record territory yet. 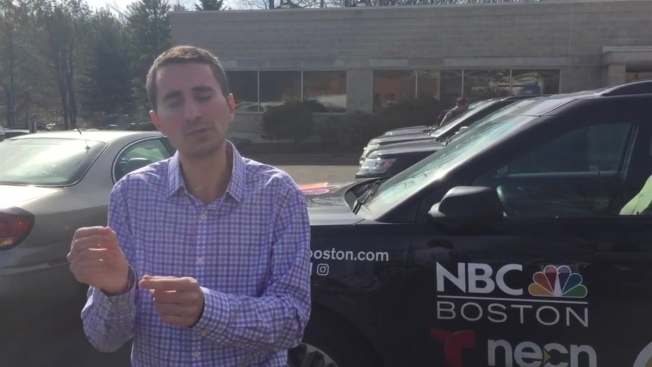 By the early afternoon, Worcester had reached 67 degrees, which ties for the daily record high as well as the record warmest February day, set back in 1985. Temperatures also hit 70 in Hartford, Connecticut and Providence, Rhode Island. Stay tuned for more record-breaking updates from the Early Warning Weather center as temperatures rise through the afternoon. In the meantime, enjoy the break from winter. Saturday will still remain on the mild side ahead of a cold front that slides in for the second half of the weekend. Saturday also brings the chance for afternoon and evening showers, with some embedded downpours by the evening. On Sunday, high temperatures are expected to slide closer to normal, with highs in the upper 40s as the wind shifts from the northwest and the colder Canadian air takes over.